Quick Hip Pain & Injury Information ... Did You Know? 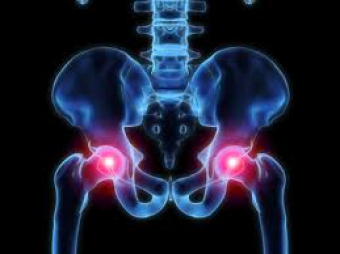 The hip is considered a ball-and-socket joint, with deep structural support (think of an egg in an egg cup). The hip more muscles (25 in total) acting on it than any other joint in the body. The hip has to generate power for us to move/walk, while balancing upper body on a surface area the size of a golf ball. Wow! The hip anchors the pelvis … so any trouble in your hips can have a domino effect to your low back, legs, knees, and ankles. Remember …. where you feel the pain, is not always the source of the problem! Unlike other parts of the body, hip pain or hip joint pain often develops gradually and from many causes. Labral (socket deepening tissue/cartilage ring) tears and osteoarthritis are the most common hip injuries, especially in older athletes who were highly active in their 20’s and 30’s. The most common hip pain source in children is diagnosed as Perthe’s disease (especially 4-8 year olds, and boys > girls). The number of hip replacement surgeries in Canada went up 20% in the last 5 years. So like it or not, and whether you have felt some form of pain in your hip area or not, many of the same strategies to treat hip problems are used to prevent them in the first place. An ounce of prevention can go a long way to keep you active and pain free! Regular exercise will help keep your hips mobile, strong, and keep your weight in check. This reduces your risk of osteoarthritis and osteoporosis. Warm up before exercise & cool-down and stretch after. Don’t over do it! If you get pain during exercise/hobbies/housework, stop and take a break. Wear properly fitting and suitable shoes for your activity. Does the hip need help unloading? Consider using a cane to assist you. Avoid highly repetitive activities on hard surfaces (running on asphalt/concrete; standing still on hard surface for prolonged period, etc.). Get help when your own treatment attempts fail after a few days. Physiotherapy can help identify the source of the pain and get you moving again as soon as possible.